Sometimes it’s nice to stick to a schedule – especially when it comes to your vehicle’s maintenance. 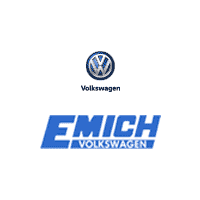 Here at Emich Volkswagen in Denver, Colorado we want to provide you with the services at timely intervals that your Volkswagen vehicle needs to continue operating smoothly. With the Volkswagen Care Program we have a variety of prepaid scheduled maintenance plans for you to choose from, based on your model year. Our Volkswagen Care and Care Plus plans are designed to provide you with peace of mind on fixed parts and labor costs for the manufacturer recommended scheduled maintenance. We offer four different prepaid scheduled maintenance plans. Each has their own specifications – the Volkswagen Care, the Volkswagen Care Extra, the Volkswagen Care Plus Package 1, and the Volkswagen Care Plus Package 2. Read all the benefits and specifics of all of the plans on our website. The VW Prepaid Scheduled Maintenance Plans are a great investment because they help you protect your vehicle. The maintenance services are performed by our Volkswagen trained technicians so you know it will be done correctly! Contact Emich VW for more information on these great plans.